"Rasta" Stevie Smith was diagnosed with cancer last year. In order to offset the cost of treatment, Smith has set up a GoFundMe page at visit Gofundme.com/rasta-stevie039s-cancer-treatment-fund. WHY: A $10 donation at the door will go to help support Rasta Stevie Smith’s cancer treatment costs. The reggae music could be easily heard by the lineup of surfers waiting for the first set of decent waves off a remote beach in Costa Rica. Sitting on his board, Danny Hoy didn’t think he had a shot at winning the small competition against a talented group of local surfers. Then, the music blaring from the beach was cut and the voice of a dreadlock-wearing DJ popped over the speaker. “A surfer is only as good as the wave he’s riding on,” ski and reggae icon “Rasta” Stevie Smith bellowed into the microphone. The waves showed and Hoy picked off the best of the set, riding it all the way to the beach for first place in the competition. Many years later, after hearing Smith was diagnosed with squamous cell carcinoma, a type of cancer, Hoy jumped at the chance to help out his longtime friend. 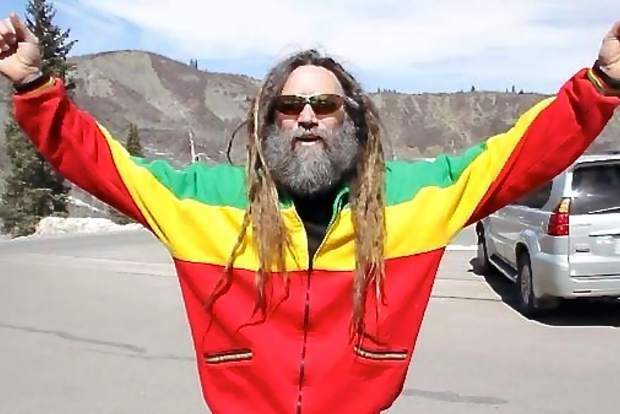 On Friday, March 22, Auld Dubliner Irish Pub & Restaurant in Squaw Valley will host a benefit for Smith, called the Squaw Valley Rally for Rasta Stevie. The event, which runs from 7 p.m. to close., will feature live performances by Soul Medic, K-Rizz, and Anthony Postman. DJ WhiteBoyHoy, DJ Treez, and M.C. Rasta Stevie’s Heartbeat of Zion will also be kicking out the jams. A $10 donation at the door will go to help support Smith’s cancer treatment costs. 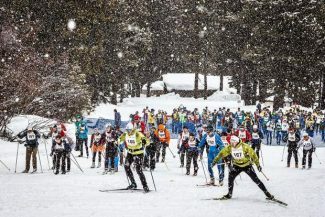 There will also be a raffle and silent auction, which will include a day on the slopes with Jamaican Olympic skier Errol Kerr, and more. 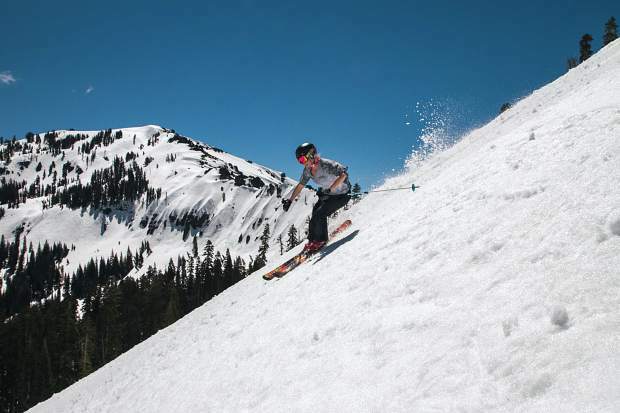 The Greg Stump film featured the relatively unknown sport of extreme skiing at Squaw Valley, Telluride, Colorado, and Chamonix, France, and highlighted star skiers Scot Schmidt, Glen Plake, and Mike Hattrup. 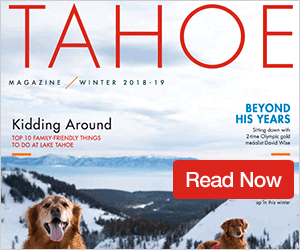 The film also showed Smith, who served on Telluride’s town council at the time, giving his thoughts on the development of ski towns — words that for many, proved all too true for areas with resorts. 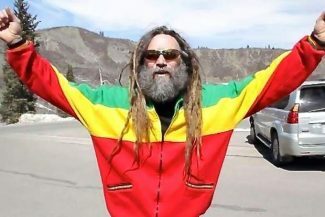 A follower of Rastafarianism, Smith is a self-described dirtbag ski bum, who took a job washing dishes in Telluride to support his ski habits after graduating college. 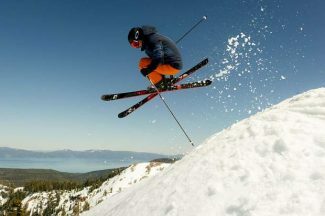 Traveling from mountain to mountain with fellow skiers in search of powder and good times, Smith said he’d often find ways of getting on the slopes by clipping passes from those who were finished skiing or by trading weed to get up on the hill. Smith later went on to start a family, and became a prominent figure in the reggae scene, performing as an emcee at various festivals. In February 2018, Smith began having trouble swallowing and noticed he had swollen lymph nodes in his neck. A few months later, he was diagnosed with squamous cell carcinoma caused by human papillomavirus. Doctors told Smith he’d have to have surgery, and then undergo radiation and chemotherapy treatments, but he refused. Instead, Smith sought treatment during the past year through a laundry list of methods that range from several changes in diet and exercise habits to holistic approaches like acupuncture and Kundalini healing. Smith said his situation worsened in January and he began to give in to the idea of modern medical treatments. But after doctors told him he’d have to undergo high-dose radiation and chemotherapy that would shut down his thyroid and put him on hormone therapy — along with other potentially lifelong negative side effects — he again refused. Smith then discovered the Forsythe Cancer Care Center in Reno, a facility that specializes in a combination of conventional and complementary therapies for cancer. “I’m an alternative medicine guy, and this treatment center I’m going to here in Reno is the marriage of alternative and Western (medicine),” he said. The only problem with beginning treatment at the clinic was the roughly $60,000 cost. Smith was reluctant to reach out for help at first, but after speaking with friends, decided to go public with his fight against cancer. With help, he set up a GoFundMe account, which has raised more than $27,000 since Feb. 21. The amount of money raised and support he’s received from those in the ski and music industry wasn’t something Smith said he was comfortable with initially, but over time he’s come to accept the financial assistance. “There comes a time when self care needs to become the order of the day,” said Smith. “I’m such a community-minded person that, to make that shift for me, has been a real journey. To donate to Smith’s GoFundMe campaign, visit Gofundme.com/rasta-stevie039s-cancer-treatment-fund.